I follow a lot of book agents and writers on Twitter and it seems like lately my feed has been filled with a whole lot of "I have an agent!" announcements and book cover reveals and publishing day congratulations. All of this has been equal parts inspiring, motivating, and painful. Seeing someone else reach their goal can make yours seem so very, VERY far away. And let's just say that patience is not my strongest quality. 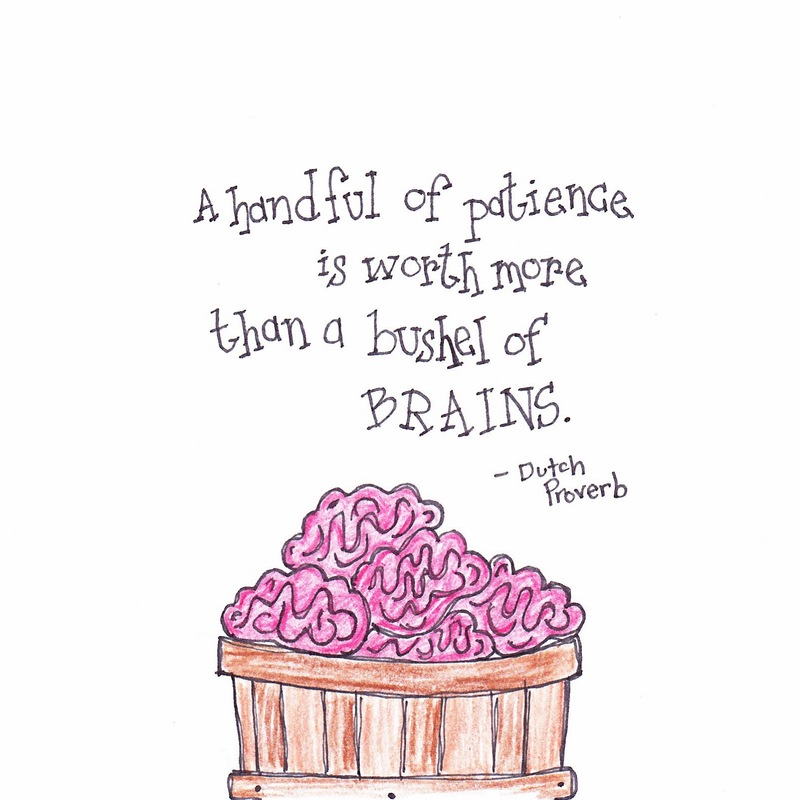 So for today's Picture Quote Monday I set out to find an inspiring quote about being patient and all its benefits, because I know for a fact I'm not the only person who struggles with this. I found plenty, such as this one: "Still achieving, still pursuing, Learn to labor and to wait." -Longfellow. And this one: "Patience is bitter, but its fruit is sweet." -Rousseau. But sometimes, when you're in the midst of a difficult lesson, you just need a giggle. Which is why I picked this one. Unless, of course, you're a zombie.